Online Training with the flexibility of creating your own course content. Over 3,500 documents and 95 computer based programs that can be modified for your company’s training needs. Content Management and Deployment system that gives your organization the means of accessing the proven processes and tools of our Blueprints for Safety® programs and makes them available on the web. ResourceNOW® extends the content and tools from our award winning Blueprints for Safety® and provides your organization with the means of accessing what they need when they need it. Combines access to streaming video, detailed program development tools and training materials all in a single easy to use web based application. Establishes a standard method for addressing the safety needs of your organization. We have created safety program specific and OSHA specific topics that make developing and implementing safety processes easy. There are several options when using ResourceNOW®. You can use the system resources to conduct classroom training. Your instructors have instant access to videos and PowerPoint presentations. You can use the system to stream videos or access PowerPoint® presentations for use in classroom style training. 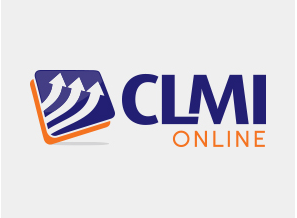 With the LMS you can assign your supervisors and trainers to conduct the training and monitor completion progress. Use the LMS functions to assign training to individual employees. All courses are customizable. Copy the course that comes with the system. Make your changes by adding content or modifying questions. Add the course to your library. Deactivate the system course. Now you have a course that reflects your procedures. 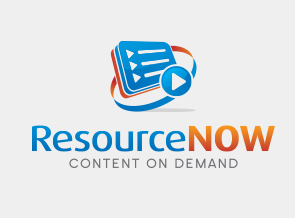 ResourceNOW® accepts video files (.flv and .mp4), Office Documents (Word, PowerPoint®, Excel), PDF files.